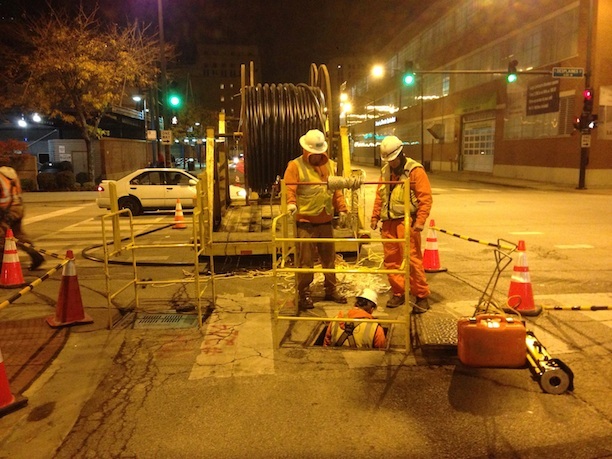 The pronounced cost-savings on the benefits of accurate location data for underground utilities. In a recent article by Geoff Zeiss entitled “Accelerating worldwide initiatives to map underground utilities”, Mr. Zeiss examines several cities around the world that have made mapping their underground infrastructure a priority. These cities include, among others, Tokyo, Sao Paulo, Rio de Janeiro, and Calgary. As part of this research, Mr. Zeiss also provides us in his article a historic timeline of ROI studies by top universities that demonstrate, time and again, the pronounced cost-savings on the benefits of accurate location data for underground utilities. 1999 – USDOT sponsored survey conducted by Purdue University: study showed a total of $4.62 in avoided costs for every $1.00 spent. 2004 – Ontario Sewer and Waterman Contractors Association commissioned the University of Toronto: study found $3.41 average rate of return for every $1.00 spent (Canadian currency). 2007 – PennDot commissioned Pennsylvania State University: study demonstrated an ROI of $21.00 saved for every $1.00 spent. 2010 – University of Toronto developed an independent 12-month study: results ranged from $2.05 to $6.59 in savings for every $1.00 spent (Canadian currency). 2014 – Milan pilot project’s economic analysis estimates an ROI of €16 for every € spent. As this timeline clearly demonstrates, there are tremendous cost-savings and ROI to be garnered by implementing the new, accurate, underground mapping technologies, such as those we offer at Geospatial Corporation.